Note: The bodice is a bit over sized but nothing a couple of hand stitches won’t be able to take care of. Since this dress came via my subsription with Gwynnie Bee I doubled up on the undergarments to fill it it. *Note: The bodice is a bit over sized but nothing a couple of hand stitches won’t be able to take care of. Since this dress came via my subscription with Gwynnie Bee I doubled up on the undergarments to fill it it. Confession: I did have Adele’s “Chasing Pavements” song on loop while writing this review. Ha! Give yourself the gift of an ENDLESS wardrobe and take advantage of the free 30 Day Trial. I’m LOVING mine! 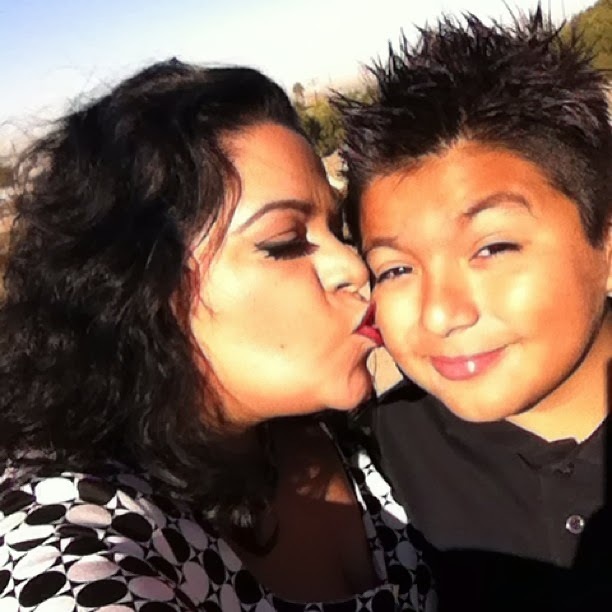 A Big Kiss to my photographer… The most amazing young man I know: My Son Diego! He didn’t see these big red lips coming! Shhhh! Don’t tell him I posted this cell pic.